Gardening shears should be part of your essential gardening tools. Aside from suiting your personal preference, you know you have the right pair because they fit your hands and feel comfortable. Note that there are shears especially made for the left-handed, ambidextrous or people with smaller hands. Knowing the different types of gardening shears is also important because the right pair depends on your gardening task. Not all types are created equal and some are better at specific tasks. Pruning shears are also called hand shears, and their main responsibility is to cut through small branches, stems, and twigs. When you’re pruning a tree or a bush, having the right pruning shears is important, and since you can prune all types of small plants that are up to ¾” in diameter with them, including vegetable plants and roses, basic hand shears are appropriate for nearly all pruning jobs. Pruning shears have two blades that are used at the same time, and they are the most common type of shears used by gardeners of all experience levels. Since you are unable to cut anything too thick with them, these shears should only be used to cut and trim plants such as thin branches, twigs, offshoots, and sick leaves. You can also use them for fine grooming work when you have manicured shrubs and hedges, but for any type of shrubbery that has branches more than ¾” in diameter, you will need another type of shears. Stores such as Home Depot have dozens of pruning shears available for purchase. This type of shears is extra small and is made to cut small, delicate plants and small trees such as Bonsai trees. They are a scissor-like tool that is very small and can be used to cut a variety of spent flowers and other shrubbery. The blades themselves tend to be short in length, although the instrument itself is an average size for pruning shears, in part because it is specially made for use on small trees and shrubbery. Thinning shears have an adjustable pivot to make them easier to use, and their steel blades are guaranteed to last for a very long time. Much like thinning shears that hairdressers use, thinning pruners utilize a scissor-like action that is easy for anyone to perform. They usually have non-slip handles that are cushioned and which allow you to grip the tool securely, as well as blades that are narrow and straight enough to get into even the smallest of places. Perfect for detailed work, thinning shears are very reasonably priced – usually under $30 – and are built to last, meaning you can count on having them around for many years to come, regardless of how much gardening you do. Thinning pruning shears can be found on websites such as Houzz. These shears have two blades – a top blade that is extra sharp and a lower hook that is unsharpened. When you complete the cut, the upper blade passes by the lower one, hence the unique name. Because of the way the blades are shaped and positioned, the plant you’re trimming ends up with less crushing damage and with a much cleaner, even cut. Bypass shears are easy to use and make it easy to get great results, which is why many novice gardeners use them to perform various gardening tasks. In addition to ease of use, bypass pruners are good for cutting any type of green, live growth, and they are made to suit both left-handers and right-handers. The handle is soft molded and easy to grip, and they can have handles that are fairly straight or slightly curvy. They are also very affordable, which makes it easy to buy more than one of them to keep in your gardening shed. Bypass pruners can easily be found at stores such as Home Depot. If you picture a sharp knife coming down on a cutting board, you’ll understand what anvil pruners are. These shears have a sharp blade that comes down on a flat, heavy edge. They are made for cutting thicker branches, especially if you apply even pressure on both sides. Anvil pruners make contact on both sides of the branch you’re working on, and once you learn to work with them, you’ll truly appreciate their advantages. When it comes to cutting thick branches, anvil pruners are the best type of shears to use. They also tend to be lightweight and small, meaning you can reduce the strain on your hands by using them, and if coated with titanium, these shears will not suffer from sap and other debris getting stuck to them while you are cutting. Anvil pruning shears can sometimes be found where you least expect them, including on Hayneedle. Needle-nose pruners are great for pruning small, thin branches, and can usually accommodate branches up to approximately ¼” in diameter. Their straight blades have a double-ground cutting edge, their handles are usually ergonomically designed, they are very easy to use, and their handles ensure a perfect grip every time you use them. Needle-nose pruning shears are comfortable, easy to use even for novice gardeners, and are typically a low-cost item, usually costing less than $20. One of the biggest advantages of purchasing needle-nose pruning shears is that they have a variety of uses, so they are a great multi-purpose tool to keep in your garden shed. They are great for people who have small hands, perfect for pruning fruit bushes, and great for use on small plants, fruits and vegetables, and even herbs. Companies such as Hayneedle make several excellent, high-quality needle-nose pruning shears. These are often simply called loppers, and they can cut stems and branches that are up to 1-¾” in diameter. They come in handy on trees such as crepe myrtles, which can have unusually large branches, and they can be utilized as both bypass and anvil pruning shears. 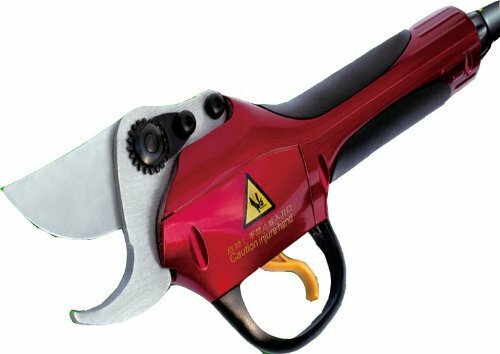 In addition, lopping shears have very large handles and give you more reach and leverage, making it much easier to cut large, thick branches. It usually takes two hands to operate lopping shears, and if you have a lot of trees in your yard, using lopping shears makes it easy to trim away decay and stray branches. When regular pruning shears aren’t strong enough to do the job, you can usually trust loppers to do it instead. This type of gardening shear can be seen on Home Depot‘s site. These shears’ only purpose is to trim hedges. They have long blades resembling scissors as well as long handles, and they can make straight, long cuts that are able to go through more than one branch at a time. If you have hedges that are more formal in shape, hedge shears can shape their new growth, and if you have a hedge of plants such as boxwoods, these shears provide the perfect way to trim them. Hedge shears have locking pivot bolts and handles that are tubular for better comfort, as well as an ergonomic design that often includes shock absorbers made of rubber. They have hollow-ground blades that enable them to cut very thick branches, and they are well-balanced and usually have serrated edges, which makes them perfect for performing the job they are intended to do. Home Depot also caters this kind of gardening shears. These shears are the toughest type of shears when you’re looking for something to trim and cut your trees. Operated with a control rope, these shears have long handles which allow you to reach high trees and shrubbery without having to get on a ladder. Because of their complexity and extra-sharp blades, it is recommended that only experienced gardeners use them, so if you’re a beginner gardener, always start with another type of pruning shears. If you regularly work with fruit trees or your job includes thinning woods, pole pruners are the tool for you. You can easily cut branches from the ground without the awkwardness and potential danger of using a ladder, and there are even electric pole pruners that can complete their job without making any noise. Home Depot sells this type of shear in different colors. These shears are so named because they have two blades that resemble a parrot’s beak, and they work by trapping branches between the blades, which is similar to how birds such as parrots crush their food. This type of shears has been around for a very long time, so they are very reliable and dependable. In addition, parrot beak shears are perfect for cutting flowers to put in a bouquet or flower arrangement. With this type of shears, there is usually one convex blade and one concave blade, and they work well together to do the job they are created to do. Parrot beak shears are very similar to bypass shears, and their thin blades enable them to work perfectly with roses, dense foliage, small branches, and various types of vines. If you don’t have much strength in your wrists or you are trimming thick stems and branches that other shears cannot handle, ratchet pruners are a great option. These shears make tough jobs a lot easier because they contain an extra part that allows you to chop and trim the branch in steps whether than in one smooth action. Once you squeeze the shears, they latch and allow you to release and then squeeze again. This is slightly different than simply performing one straight cut, but these shears work wonderfully and are great for people with injured or weak hands and wrists. In addition, many ratchet pruners have “D” handles that allow you to grasp them perfectly, and they often include a safety latch so that you have extra protection while using them. Home Depot has several types of rachet pruners. You can choose the right features for your pruning shears by taking into consideration the type of trimming and cutting that you need to do. For example, for small branches and stems that are no more than ¾” thick, you should choose tools that have excellent maneuverability and which do a great job of cutting at awkward angles. Basic pruning shears are good for this purpose, mainly because they come in so many different sizes, and ratchet and bypass pruners will also work well. For branches that are unusually high or very thick, tree pruners and loppers should be used. Loppers can cut through branches that are up to two inches in diameter, which is quite thick, and if you choose loppers with extendable handles, the job will be a lot easier on you. In fact, any type of lopping shears will likely do for high trees or extra thick branches, but be on the lookout for special features that can make the task even quicker and simpler to perform. Hedge shears are specifically made for use on all types of shrubs and hedges, in part because they have long blades that cleanly cut all the way through to the tip. They are also perfect for cutting back grasses that are either decorative or very tall, giving your hedges an attractive shape, and trimming all types of ornamental shrubs. Hedge shears are usually over 20 inches long, and you can even purchase replacement blades for them to save yourself the expense of buying new shears. Many of them also have adjustable blades that make all of these jobs a lot easier to perform. Specialty shears and snips make working with plants, herbs, and flowers a very simple thing to do. These tasks are typically very detail-oriented and involve fine motor skills, so you’ll need products specifically designed for these purposes. In these and other situations, choosing tools such as pruning snips, floral pruners, floral snips, and veggie and herb shears is always a smart option. If you regularly snip herbs, deadhead flowers, or harvest vegetables, it is good to know that there are pruning tools that are designed with these tasks in mind. If you research this topic, you’ll notice there are dozens of brands and models of pruning shears recommended by medical associations and nonprofit organizations that specialize in helping people with arthritis or other mobility problems. These companies’ websites contain the details of these recommendations, so if you love gardening but hate what it does to your weak or arthritic hands, this is a great place to start so that you can feel better very soon. Yes, there are now pruning shears of all types that are electronic and can be recharged over and over again for more efficient and reliable use. Generally, they include strong and reliable batteries that are often made of lithium. In addition to regular pruning shears, electric shears come in styles that include grass cutters and hedge trimmers, as well as many types of pruning shears. Most of these shears are under $100, and many are under $50, which means that nearly anyone can afford them, and they save both time and money in the long run. They usually come with one lithium ion battery, an excellent warranty offered by the manufacturer, a weight of no more than a few pounds, and numerous other advantages. Rechargeable pruning shears are great for performing all types of gardening jobs, as well as for completing numerous arts and crafts projects that are often enjoyed around holidays such as Halloween, Christmas, and even Valentine’s Day. Often, electric pruning shears come in kits that have everything you need to enjoy your new tool, including more than one type or size of blade, one or more batteries, a charging cord, and even a convenient case to keep everything in one place, should you decide to transport it for use at another location. The wireless design greatly increases the ease of use of these tools, and since the batteries can last for up to five hours or more, you should have no problem being able to complete all the tasks you had in mind for that day. In addition, electric shears are very user-friendly, so even if you’ve never used one of these tools before, it will be simple and fast for you to start using it shortly after you receive it. Electric shears are great for people with weak or sore hands because the job of pruning, trimming, or cutting is made much easier, thus saving you valuable time in the garden. Stores such as Hayneedle feature a variety of high-quality pruning shears.